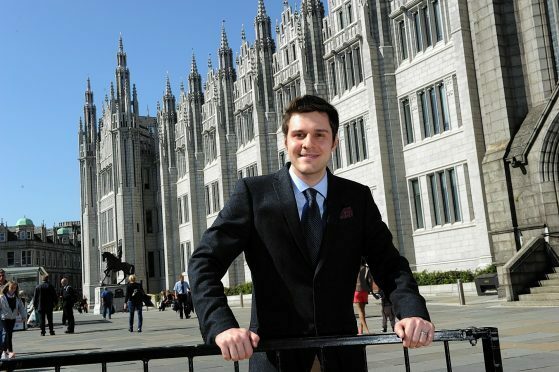 Conservative MSP Ross Thomson will fight the Aberdeen South seat at next month’s general election, the Press and Journal can reveal. The North East MSP will seek to oust SNP former city council leader Callum McCaig in the snap poll on June 8. Mr Thomson was elected as a Conservative list member to Holyrood just under a year ago – and almost doubled the Tory vote share in the Aberdeen South and North Kincardine constituency to 34.5%. He has also served as a city councillor in Aberdeen’s West End since 2012. The Westminster seat overlaps the Holyrood constituency, so Mr Thomson said he had high hopes of winning. But Mr McCaig said he had “stood up and fought” for the interests of the city and was confident of keeping his Westminster seat. “I can confirm I have put myself forward for selection for the Aberdeen South seat in the general election on Thursday, June 8. “We believe the political ground has shifted since 2015, when Labour successfully persuaded many Conservative voters it was best placed to challenge the SNP. “We saw the Scottish Conservatives are the only party that can beat the SNP here in the north-east during last year’s Holyrood election and again in two council by-elections in Aberdeenshire. The Aberdeen South seat was held by the Conservatives in the 1970s and 80s, and most recently by Raymond Robertson from 1992-1997. Current MP Callum McCaig, SNP Westminster energy spokesman, said he was confident his work over the last two years would win him support. Mr McCaig said: “Over the past two years I have seen first-hand the horrendous impact Tory policies threaten communities across Aberdeen South, and I have used every opportunity to stand up in the House of Commons and hold the Tory Government to account for that appalling and often inhumane record. “The Tories are failing to adequately support the oil and gas industry by introducing robust fiscal incentives, they are literally leaving people to starve through draconian welfare cuts, and their immigration policies threaten every day to tear families apart. “At every step of the way I have stood up and fought for this constituency and worked to protect people in it from the appalling inhumanity of the Conservatives in Government.